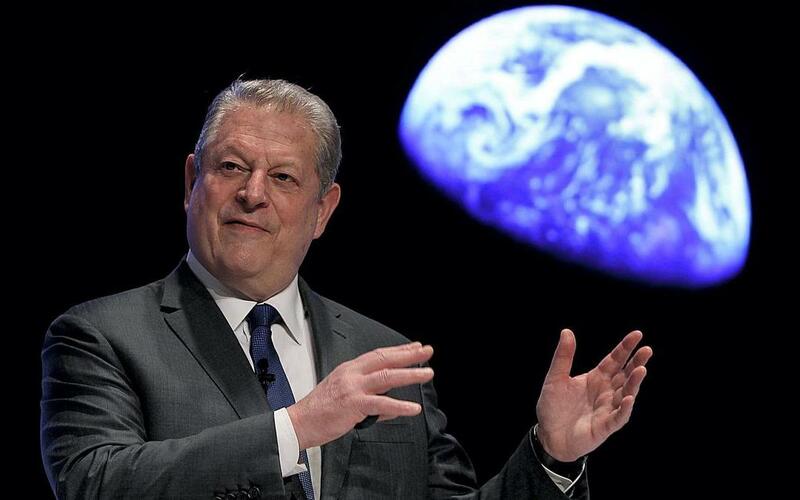 If you thought Al Gore, the Clown Prince of Self-Enriching Hysteria, was done — if you thought a Nobel, an Oscar, a Grammy, an Emmy, a Webby, a few million bucks in the bank, and an energy-sucking mansion might be enough to satisfy his publicity-craving, money-grubbing ego — you don’t know your way around a real public nuisance. At some point, our Milky Way galaxy is going to experience a horrible, unheralded cataclysm the likes of which our puny brains can barely comprehend. A large, furious body of hot energy and gas is going to hurtle into the little home we’ve created for ourselves here in our neck of the universe, throwing all the different pieces that make up the galaxy into a horrific scene of cosmic chaos. Stars will crash into one-another, planets will be left broken and smoldering—if they aren’t outright vaporized—and nothing will ever be the same. That’s right. From Al’s imagining of the cataclysmic flash, the planet-snuffing horror, the hyperdriven hysteria, the new awards, the ubiquitous accolades, the endless publicity, and the reams of cash to be bagged from that story, Al’s next film project — Star Wars — was born. With shooting scheduled to begin aboard Richard Branson’s Virgin Galactic on June 30 of this year (the 13th anniversary of the release of An Inconvenient Truth), Yours Truly sat down with the scam-artist and would-be auteur to get his thoughts on Earth, its climate, its fate, his predilections for self-aggrandizement and self-enrichment, and his seemingly boundless chicanery and avarice. YT: Ya know, Al, a lesser man might have caved in response to empirical evidence — as opposed to, say, hysterical emotion — that the planet is cooling precipitously. Al: But I’m not a lesser man. YT: True dat. And to what do you attribute your ability to remain steadfast in your commitments to fraud and global power-mongering? YT: Right. I sometimes forget you didn’t win the Noble Prize. Al: Yes. I have that tattooed on my … wanna see it? YT: I’ll pass, thanks. On another topic, are you aware there’s a 1977 film called Star Wars? Al: So, sue me. I was so busy inventing the Internet, I must have missed it. It couldn’t have been any good anyway. YT: Certainly not relative to your high standards. But tell me, don’t you think it’s at least possible Star Wars won’t get any closer to the truth of a cosmic apocalypse than An Inconvenient Truth got to the truth of anthropomorphic global warming? Al: Who the hell cares? Either I’ll be dead before it, or we’ll all be dead after it. As long as my bank account and my ego get fatter, I’m good. YT: Indeed. Is there anything the general public can do to help make this film the kind of success An Inconvenient Truth was?